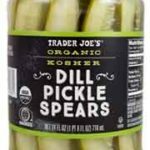 These pickles are tart, delicious and ready to put on a burger or a sandwich. 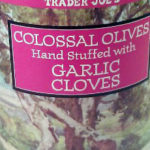 I’m so glad Trader Joe’s has a product like this so I don’t have to buy inferior pickles at a regular grocery store. My favorite ever! Why are they gone?? PLEASE BRING THEM BACK!!!! 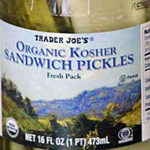 The best pickles. EVER! 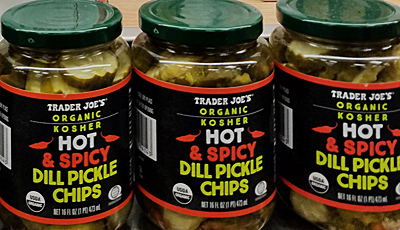 My favorite pickle…flavorful, spicy, tangy & hot…why does Trader Joe’s cycle out so many of their best products?! 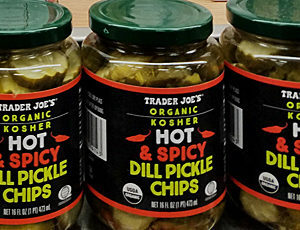 I love dill pickles and I love spicy food. These are both of those things and they are oh so delicious. They’re not the usual limp pickle chip that you’re used to. 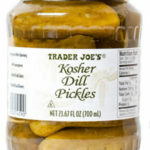 These are super crunchy, the way a pickle should be. 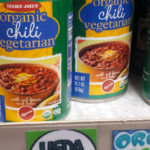 Keep these around TJ! 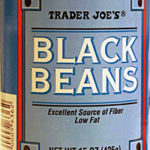 With red beans and tofu.